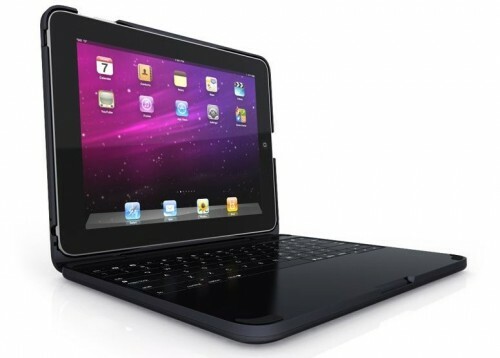 5 iPad Cases that don't Scream 'I'm an iPad!' | It's not your tech, it's how you use it. Let’s face it, if you have an iPad, the last thing you want is for everyone to eye is suspiciously if you bring it with you to a meeting, or to have everyone leering over your shoulder while you’re using it at the coffee shop, dying to ask you “Is that an iPad?” If you had an original iPad and remember what it was like for the first few weeks after it was released, everyone who saw you using it wanted to get their fingers on its screen. Remember that? Well, to help you actually use your iPad to get things done or to relax and unwind a little bit without having to hide it in a corner, let’s take a look at some iPad cases that don’t out and out Cheap NFL Jerseys scream “Hey, there’s an iPad in here!” Some of them are designed to be used with the iPad inside, others are just carrying cases built to let you get into a place and out of a place without someone seeing a huge Apple logo on your gear and eying you either as a mark for theft or one of those Apple “fanbois” you’ve probably heard so much about. So without any further ado, let’s dive in. 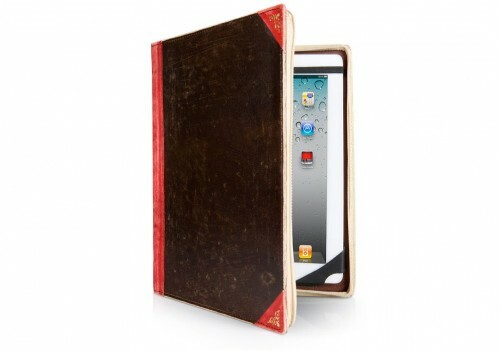 You never know, you might find a case pretty enough to buy an iPad for, you think? If you like the look of an old, traditionally-bound book, the BookBook case for iPad is a great example of a case that looks like a book when it’s on your desk or in your bag, but when you sit down to open it, it reveals the beautiful tablet within. The BookBook fits the original iPad and the iPad 2, doubles as a display stand that can be used to prop up your iPad when you’re watching a video or just want to work with it without holding it all the time. One can be yours for $69.99, and you can order them directly from TwelveSouth in classic black or vibrant red. The DodoCase was one of the first really high-quality ,alternative iPad cases to appear on the market that didn’t clearly look like you were keeping a piece of technology inside. Hand-crafted and bound by artists and designers in San Francisco, the DodoCase sports an image of the bird on the inside cover, but instead of being a zippered, pocketed case designed to look like a book the way the BookBook is, the Dodo case is actually carved out of bamboo that you slip your iPad into. When closed, it looks like a clean, modern-looking notebook with wood trim where the paper would normally be. There’s a version for the original iPad and the iPad 2 (because the depth of the wood interior is based on the thickness of the device. You can order the DodoCase directly from their website in eight different colors to suit your tastes. 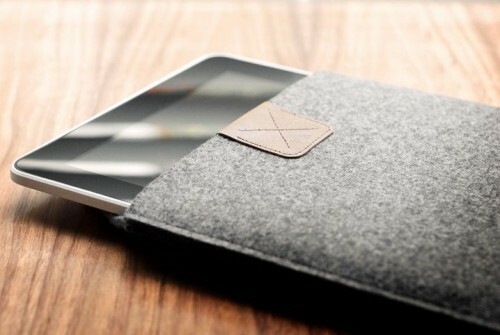 The Heritage iPad Case from Hard Graft, also known as the X Series of iPad case, is actually a cozy-looking wool protective sleeve with a trademark leather accent at the top. It’s designed to be a perfect and snug fit for the iPad 2, keeping it safe and dry while you travel with it, or take it out/put it back into your bag. Since it’s strictly a sleeve, you’ll have to pop the side out to plug in the headphones, and you won’t have access to any of the other ports, but it’s a perfect disguise if you want to put it on top of a desk without everyone who walks by wondering what it is that you have. The Heritage iPad Case for either the original iPad or the iPad 2 can be ordered directly from Hard Graft’s website for â‚¬55.00, which converts to approximately $80 USD, and they use UPS to ship worldwide. The Clutch iPad Case, from Happy Owl Studio, is probably the single iPad case that looks and works the most like a fully-fledged bag in this roundup – and that’s by design. The Clutch is an iPad case, but it’s also a personal organizer and folio you can carry around with you that has room for papers or files, magazines, pens and maglie calcio poco prezzo pencils, business cards, and other documents you want on your person at all times. There’s even room inside for your mobile phone, and a nice large pocket for bulkier items like small bottles, medication, and other loose items. When folded up and closed, The Clutch sports a shoulder strap and can be carried like a purse or — without the strap — a briefcase. You can pick one up in red or black at Happy Owl Studio for $79.99 (on sale at the time of this writing for $39.99!) If you want something a little slimmer, check out The Wallet, another case made by the same company. The Clamcase is probably the stuff of legend at this point. It was announced very early in the prototype phase, and it was probably the first case announced that would feature a Bluetooth keyboard and a stand combined that could be used with the iPad to make it look and feel more like a laptop, and then be turned over and used as a stand. It’s also the only case in this roundup that has a Bluetooth keyboard built-in. The ClamCase languished in development for a long time, and several other companies beat them to the punch with the whole Bluetooth keyboard/standing case combo, but when the ClamCase did arrive, it looked just as good as the prototype did, and still takes top honors for being sleek, stylish, and protective all at the same time. When you use the ClamCase, you really do look – especially from the back – like you’re using a laptop. You can hold it open in your lap and you look like you’re using a folder or folio, partially because of the ClamCase’s case, which completely encloses the iPad, instead of others that leave the sides open for all to see. You can order one for the iPad for $149.00 retail price (special price at the time of this writing is $119.00) – they’re working on a version for the iPad 2, but it’s not available just yet. Hopefully these are a few options to help you protect your iPad while you’re on the go that don’t all tell the world that you’re using an iPad or that yes, that is indeed an iPad sitting on your desk while you use your computer or talk to a friend. I would have loved to make this an all-encompassing “tablet case” piece, but sadly the number of cases and peripherals for other tablets like the Samsung Galaxy Tab and the Motorola Xoom simply aren’t there yet to warrant one, and as usual, the cases that have appeared early on in the process are definitely oriented to people who want the world to know what kind of tablet they have, instead of giving them the peace to use it without being bothered. So if you have an iPad and you’re looking for something to keep it in, try one of these. You won’t be disappointed: they’ll keep your iPad safe, and it’s very possible that people will compliment you on the case instead of simply wanting to play with your iPad. I own both the BookBook case and the DODOcase and while the former definitely looks cool, the DODOcase is a huge winner for craftmanship and style. When I walk around with my iPad in the case, I feel like an alien or time traveler. Love it.